Have you ever read a story so short you could finish it while standing in line at Wendy’s? Believe it or not, there is a format of story-telling so quick you could potentially read several of them in that period of time. Of all the existing designs of fiction writing, the one I have the most experience with is flash fiction. What is flash fiction? In its simplest sense, it is an extremely short work that still contains character and plot. Word count can range from just a few words to around one-thousand (beyond that, you are walking in the land of the short story). With such space restrictions, each word must be chosen carefully to maximize its impact in the story. There is little to no room for exposition so any backstory or explanations should be inferred or easily deduced by the reader. The story should possess a discernible plot, even if it leans toward the simple or basic. A hallmark of flash fiction is the twist ending. Having a plot with a surprising climax makes up for the scarcity of words and lends itself to a more enjoyable experience for the reader. I’ll conclude with a brief and shameless plug. Over the past several years, I have been a frequent contributor to a flash fiction website which I now moderate (www.site.flashfiction5.com). The site hosts a monthly contest where participants may submit a work of flash fiction, one hundred words or less, that must contain a specific list of words which are updated each month. It is completely free to enter and the two winning stories are posted the next month. I look forward to seeing your work! It’s been a while since our critique group has been together. Work, family obligations, vacations and floods (yes, flooding in the Texas Panhandle) have kept us apart. But as summer comes to a close, it’s time to get back to the business of writing. That doesn’t mean I haven’t been working on some ideas; it means I haven’t been focused. There’s something about having deadlines and meetings that tend to help me keep on track. Knowing I need to have about ten pages ready to read on Thursday night forces me to put a book away, turn down the TV, and open the lap top. I often do my best work under pressure or time lines. I’ve been considering how to complete the set-up of my new story. I have names, cities, settings, and now I know how to describe that office. It’s simply a matter of getting the edits on paper. I can’t wait to read the results to the group. The other thing I have missed is the friendship. Not only do we critique each other’s writing, we’ve developed a camaraderie that helps us work together for the benefit of each member. No one is more important than another. And if one is struggling, we make the time to give the extra support and guidance needed to help him or her over the slump. That’s what makes a good, productive group. 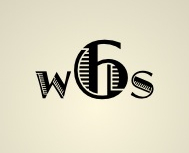 I’m so blessed to be a part of Wordsmith Six. I wish every writer had such dedicated friends and writing partners. The creative person is both more primitive and more cultivated, more destructive, a lot madder and a lot saner, than the average person. FRANK BARRON, “Think”, Nov-Dec 1962. My children, husband, in-laws, co-workers, neighbors, my cat—the entire universe—have conspired to prevent me from finishing this book. Why did I send that stupid and inappropriate email to my agent? I should have never asked that question. She’s never replied because obviously, I’ve been dropped as a client. Can I be any more unprofessional? My career is over. No response. They never got it. It’s been 14 days, 8.5 hours, 22 minutes since my submission. I don’t like the way the new mailman looks at me. He probably never put it in the bin for mailing. The crazy postman sabotaged my writing career. I can’t believe I let this story out into the world. What a piece of crap. No wonder I can’t sell anything. I’m a total joke to every editor in New York City. They probably read my work out loud at happy hour just for a good laugh. My book would have sold by now except for my website. I need a complete redo with a more vivid color scheme, different pictures, new bio. A blog! I need a blog. And a tribe. How much does a tribe cost? Use lay when the subject is setting something down. Ex: I lay the spider in the fireplace. Use lie when the subject is the one lying. Ex: I lie down in the coffin. In the past tense, “lay” becomes “laid” (Ex: I laid sod in my yard last week) and “lie” becomes “lay” (Ex: Mary lay in her new bed last night). Confused yet? One more note, if helping verbs are involved (past participle form), “lie” becomes “lain”. Ex: The dragon had lain on her egg for eternity. However, “laid” is still the past participle form of “lay”. Ex: Susan had laid the gun down on the table. Some folks think I’m crazy when I tell them that I talk to my characters and they answer me. Truth is I’m quite sane. I get some of my best ideas just carrying on a conversation with a character in my story. It goes something like this. Chad responds. “Well, she’s cute. Not heart-stopping beautiful, but cute. And she’s funny. She tells the best jokes. Have you heard the one about…?” Okay, you’re not in the mood for jokes. She’s a teacher. High school English. Beth. Her name is Beth. My girl’s a great educator. Beth teaches some of the old stuff like conjugating verbs and diagramming sentences. In a short conversation, I’ve learned the girl friend’s name, she has a good sense of humor, her ancestors are from Scotland, her occupation, and future plans. But I didn’t ask where everyone lived. As you can see, my conversations with Chad garnered useful information. And it’s better than talking to myself. Let’s be specific. That’s what nouns do; they name the person place or thing in our writing. Nouns might be a brother, mother or dad; school, city or park; or a dog, hammer or computer. A noun can also name an idea, concept or personality trait such as time, friendship or courage. Common Noun – A general type of person, Place or thing. Proper Noun – Names a particular person or specific thing. Singular Noun – Names only one person or thing. Plural Noun – names two or more persons or things. Collective Noun – names groups: team, choir, jury. Concrete Noun – names something that can be seen, heard, touched, tasted or smelled. Abstract noun – names concepts or ideas. The noun helps the reader to see what you write by forming a picture in their mind. When I added fiction writing to my job related and freelance work about 12 years ago, I had envisioned becoming a romance writer. My goals were to sign with an agent and attend the Romance Writers of America conference every year. As a member of two critique groups, one which is all romance writers, it stands to reason that I’d be a natural at creating these kind of stories. Easy peasy. The stories in my head are not of the romantic nature. The characters that interrupt my dreams are young people, most often from the past. More specifically in the old West. Not only have I spent many, many sleepless nights wondering about these characters and their adventures, I’ve also asked myself, WHY am I doing this? I remember being fascinated with history, the Oregon Trail, and the old West at an early age, but I never imagined I’d be crafting historical novels. I’ve since walked many a mile on the dirt road behind my house, staring into the setting sun, trying to channel a 15-year old Comanche brave. Why this character haunts my head is a mystery. This summer, my entire mindset has changed regarding my writing journey. I attended the Western Writers of America convention in Lubbock, Texas. This is a diverse group, with songwriters, poets, historians, museum archivists, writers of nonfiction and fiction, editors, agents, musicians, and newbies and veteran authors. While there, I listened to a panel of New York City authors share facts about The Alamo that I’d never heard before. Songwriters and talented musicians shared their original music every night in the Roundup Room. A panel on writing about the Comanche Nation included great-grandsons of the great chief Quanah Parker! At a table over a plate of Texas Bar-B-Que, I listened to the daughter of Don Coldsmith tell how her father gave up a successful medical career as a family practice physician to write stories set in the west. His first book came from the discovery of a valuable bit in an antique bin in Oklahoma, which he bought for a dollar. He penned 40 novels which involved a whole series covering centuries of history. She told us about his writing process and about how he never missed a WWA convention. Here’s what I learned during this amazing week: these people don’t worry about the WHY. WWA members endlessly research the subjects they love. WWA members write about the people and the places that burns a hole in their gutt. My guess is WWA members would pen those stories, songs and poems whether anyone read them or not. A writer writes. From this day forward, I’ll strive to write the very best story I can and leave the why for somebody else to worry about. WESTERN WRITERS OF AMERICA NEEDS YOU! If you’re a fan of history, cowboys, horses, and anything relating to the American West, close to 600 WWA members share your enthusiasm. You will LOVE this group. Check them out at www.westernwriters.org. Perhaps I’ll meet you June 2016 at the WWA Convention in Cheyenne, Wyoming. Whatever haunts your dreams, stop questioning the why and write on!